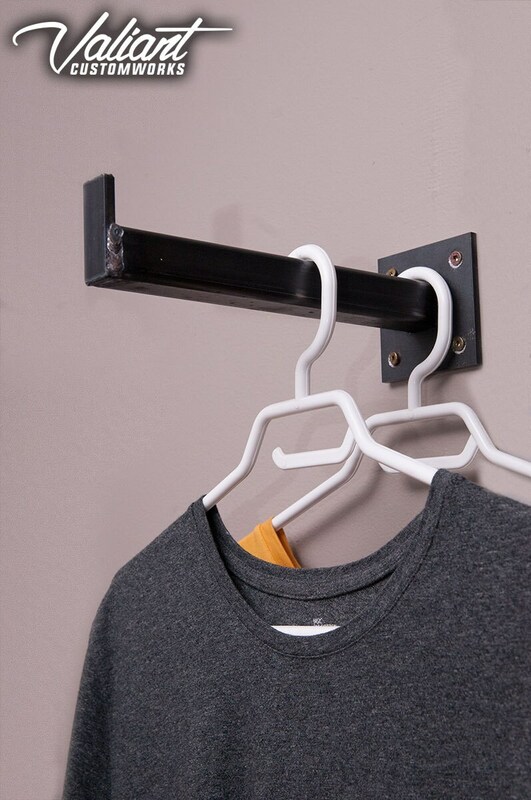 These simple, sturdy brackets can be used for holding up shelves, or hanging clothing or any number of other uses. 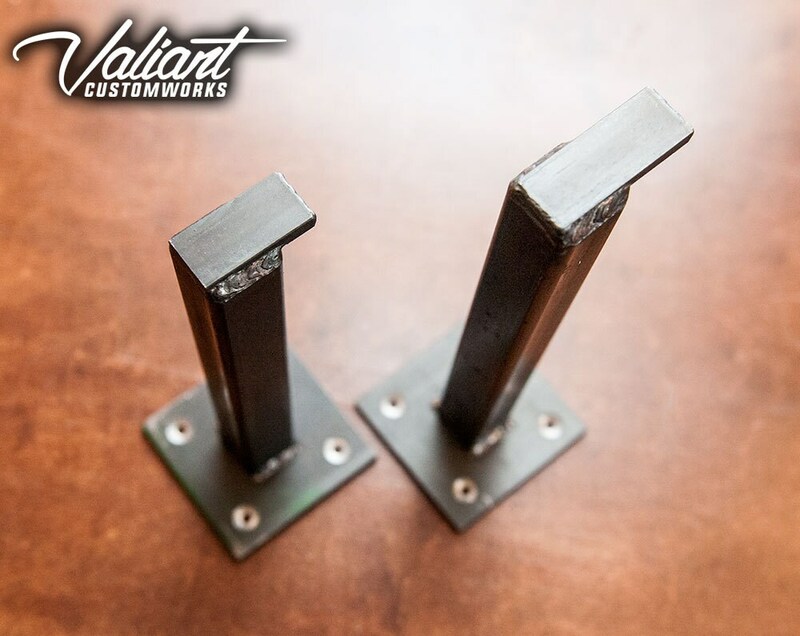 Available in lengths from 6" to 12"
1x1" heavy duty hot rolled steel square tube is used, fully TIG welded to a 3x3" base 0.188" thick with a tang on the front to keep things from sliding off. 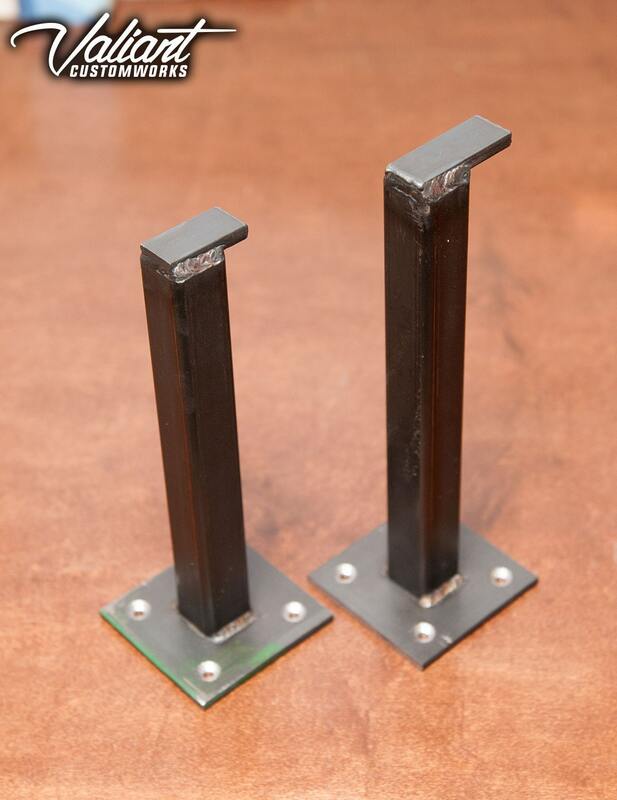 Pictured are one 8" and one 9" unit. The 9" piece has a longer tang as per request by the customer that ordered that one. They are normally 1/2" tall - as shown on the 8" piece. These should be screwed to a stud or something sturdy. They are available raw, rusted or painted. love these. Bought some for one room and will be buying more.